We all have a story to tell, so tell it! This is what Marisa Vitali heard in an acting class she was taking from her professor. The next day, she began to write and write and write. In the end, Grace the Movie was born. More importantly, Marisa realized she wanted to begin a conversation about Recovery. 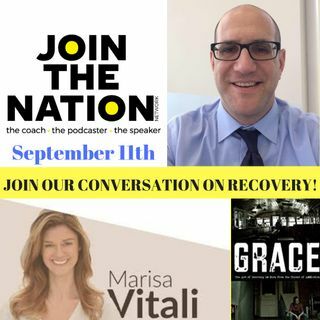 Today on Join the Nation Recovery Radio, Marisa Vitali and your host Stewart Michaelson talk about her addiction, her recovery, Grace the Movie and the conversation she has began with ... See More millions of people about RECOVERY.